Create a report called Swindler's List and add a data source which connects to the Movies database. 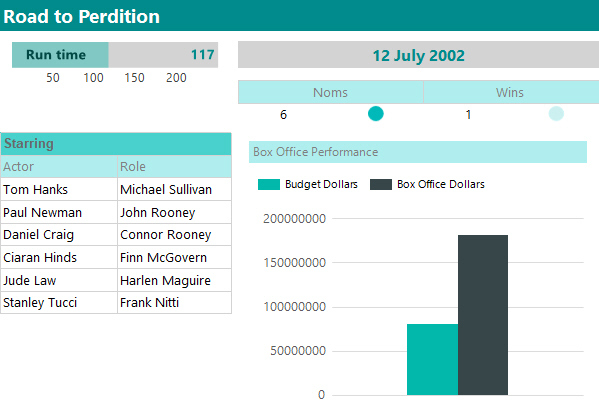 You'll need to include the Film, Role and Actor tables in order to add all of the fields shown here. This list contains two text boxes, a gauge, two tables, two indicators and a chart.